Sitra's Slush events this year focus on food, the future of consumption and new ways to promote health. Slush, one of the biggest start-up events in Europe, begins soon, and Sitra is involved in various ways in Slush itself and the side events. See below how we are participating in the event that brightens up these dark seasonal days and nights with its energy and enthusiastic development. We need to rethink our food systems. We need to provide nutritious food while not stretching the limits of the planet’s capacity. The food we eat and the way we eat it is a personal and intimate experience, and yet eating has many far-reaching implications for societies. The circular economy provides answers to our burning questions on food systems. Circular food is designed so that precious resources are used in the optimal way. Event topics: the future of knowledge, the future of consumption and the future of symbiosis. Read more. Sitra is organising a workshop on the circular economy at the Slush Youth event on 1 December. The goal of the workshop is to update our understanding of the global economy and adapt to the limits set by scarce resources and the carrying capacity of Earth. This transformation is taking us towards a circular economy, where consumption is based on the use of services instead of owning things. Read more. The Slush Global Impact Accelerator is an accelerator programme for start-ups in developing countries that solve the challenges related to the aims of sustainable development. 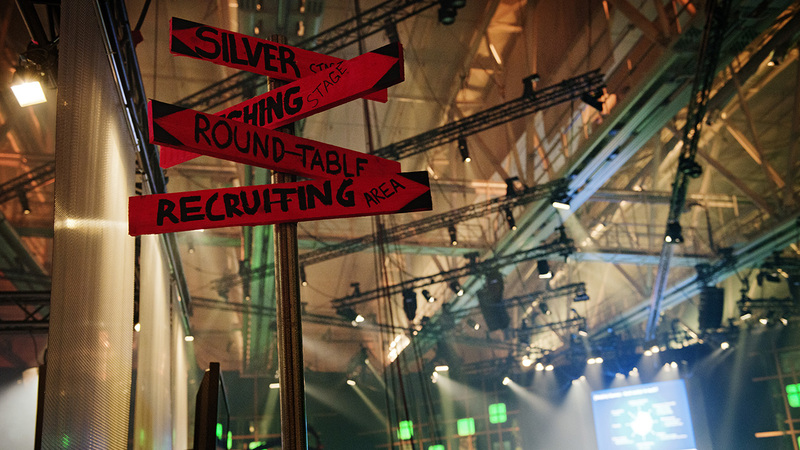 The programme brings 36 start-ups from 20 different countries to Slush. Sitra supports the programme and is co-arranging the workshop programme for the participating hubs. Isaacus – the Digital Health HUB has its own stand at the side event organised by the Ministry of Social Affairs and Health, Health and welfare services meets The event will be opened by minister Annika Saarikko, and during the event we’ll hear about how to make Finland the world’s best platform for technology innovations, how to best collaborate with healthcare organisations and what the Kanta system can mean for start-ups. The Human-driven Health focus area brings together start-ups and the key people involved in the ongoing regional experiments on freedom of choice. As well as freely exploring the atmosphere and what Slush has to offer, the programme includes participation in the above-mentioned organised by the Ministry of Social Affairs and Health and the of the Baby Box QuickFire Challenge innovation competition that aims to develop a modern maternity package for the 2020s. Event for invited guests. Sitra also participated in the Junction Hackathon held before Slush with its Handle with care challenge. Handle with care was about well-being data. The hackers’ task was to to build an application which either presents parts of given health data in a clever new way – to interact with the data – or brings more real-time data using sensors or social media to the data lake. They all had the flexibility to be as creative as they like, as long as their solution used the given technologies and had the potential to increase well-being.